For the benefit of my English-speaking readers, here is a translation of her response, which clears up the many points raised by the launch of her blog, Esprit de Parfum (in French exclusively). I have read your attacks with attention and I want to inform you of many aspects which, it seems to me, should be pointed out. My blog is a personal initiative, in no way has Guerlain been involved; a friend (who has a web agency) set up my blog, and I started posting. 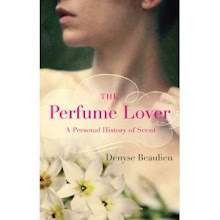 I write my articles myself, with my heart and my desire to share my knowledge about the world of perfumery. Some of articles, which I didn’t want to publish first, had already been written, which explains that the archives go back to January 2008 (I have corrected that mistake), and I was thinking of officially launching the blog in early March with the contents I had been preparing since the end of 2008. I’d like to thank Sylvaine for responding so courteously. 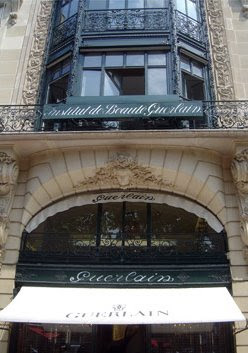 And I am quite proud that a dialogue – a stormy one, granted, given that no house arouses such passion as Guerlain – has been initiated between Guerlain lovers and the person responsible for the house’s destiny. This is also a first and I am delighted that it took place here, on Grain de Musc. Je crois pertinent de reproduire celui-ci dans un nouveau post, puisqu’il apporte des précisions sur la nature de son blog Esprit de Parfum et sur ses intentions. Je lis avec attention vos attaques et tiens à vous informer de plusieurs aspects, qui, il me semble, doivent être signalés ici. Mon blog est une initiative personnelle, Guerlain n'est intervenu en aucune façon; un ami (oui qui a une agence web!) a mis en place mon blog, puis j'ai commencé la publication. J'écris moi même mes articles, avec mon coeur et mon envie de partager mes connaissances sur le monde de la parfumerie. Certains articles que je ne souhaitais pas voir apparaitre en premier avaient été antépubliés ce qui explique les archives datant de Janvier 2008, (J'ai corrigé l'erreur) et pensais lancer officiellement le blog début mars avec déjà un peu de contenu que je prépare depuis la fin de l'année 2008. Merci à Sylvaine d’avoir réagi, et de façon aussi courtoise. Je ne peux que me féliciter qu’un dialogue -- parfois houleux, il est vrai, tant Guerlain suscite de passions -- soit initié entre les amoureux de la maison et celle à qui l’on a confié son devenir. Cela aussi, c’est une grande première et je suis ravie qu’elle ait eu lieu sur Grain de Musc. Would you make every launch a modern variation of that fragrance? Suppose you decided, say, to launch a leather fragrance, but that you, personally, didn’t like leather fragrances. Would you have a leather fragrance composed that you could wear, one that was suited to your particular tastes? 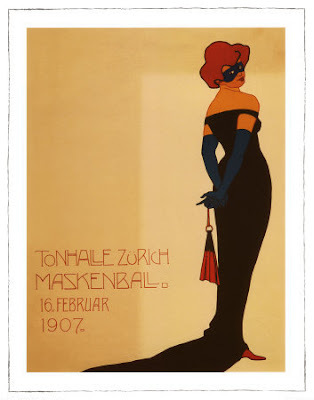 The blog in question includes a very hurriedly written history of perfumery, replete with mistakes (Dior’s New Look in the Roaring Twenties? Mary Quant and André Courrèges in the 70s? 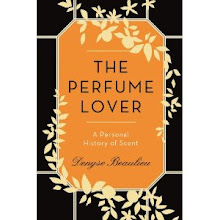 ), a few addresses, a couple of articles on raw materials, some advice on choosing one’s fragrance (based on the idea that a woman must find hers and hang on to it – the author only has two favorites) and above all, most interestingly, a couple of posts on the genesis of two of the house’s fragrances. These posts reflect the fact that the author has imposed her own, personal taste, which explains a lot about the current style of the brand. Very little is said about the house’s heritage: though it is showcased in the historical posts, it seems of little relevance in the selection of new fragrances. 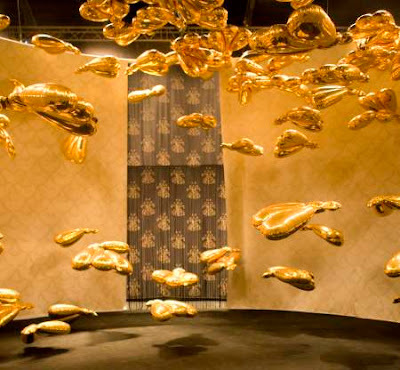 Clearly, this sporadically updated blog represents a half-hearted attempt at penetrating the perfume blogosphere, but judging by the total absence of comments, it doesn’t seem to have reached many readers. Chaque lancement serait-il une variation de ce parfum ? Feriez-vous composer le cuir que vous aimeriez, qui correspondrait à vos propres goûts ? Dans ce blog, on retrouve une histoire de la parfumerie, sans doute assez hâtivement rédigée (ce qui expliquerait quelques pataquès flagrants : le New Look de Dior situé dans les Années Folles, Mary Quant et André Courrèges cités dans la rubrique 70s), quelques bonnes adresses, deux articles sur des matières premières, des conseils pour choisir son parfum (selon l’auteur, qui n’en porte que deux, chaque femme doit trouver « le sien »)… Mais le plus intéressant, ce sont les deux posts relatant la genèse de deux des parfums de la maison. On y comprend que l’auteur a imposé son propre goût, ce qui explique enfin le style maison actuel. On y parle peu du patrimoine de la marque : bien qu’il soit mis en valeur dans les posts historiques, il semble compter pour peu dans la composition de nouveaux parfums. Ce blog sporadiquement alimenté tente, dirait-on, de surfer sur la vogue des blogs parfum, mais à en juger par l’absence totale de commentaires, il ne semble pas avoir atteint son public. Il est signé du nom de son auteur. Pouvez-vous le deviner? You know the concept of niche perfumery has been voided of all its meaning when… a niche line is distributed in a mainstream chain of cosmetics stores (the French Marionnaud). But if it had to be done, it might as well be with Ego Facto, the new line launched by the fragrance consultant Pierre Aulas, who has worked with brands such as Thierry Mugler (for the Miroir series). Pierre Aulas, a former singer in the chorus of the Orchestre de Paris, sees himself as a conductor. His soloists are among the best in the business: Anne Flipo, Alberto Morillas, Jean and Aurélien Guichard, Dominique Ropion, and the regretted Laurent Bruyère. Ring a bell? It should. Frédéric Malle has been doing it for years, and Ego Facto could be seen as a more mainstream version of the Éditions de Parfums: Malle for the masses, as it were. But while Malle, though fairly present in the media, puts forward his perfumers, the Ego Facto website plays up the personality of the very personable Aulas, perhaps understandably so , considering its stated concept – 7 portraits of 7 strong egos. As an artistic director, Pierre Aulas co-signs each fragrance. The result of this team-work is a reasonably priced (59 € for 50 ml) line of seven eaux de parfum, each of which has got a twist, a little je-ne-sais-quoi that makes them playful in a very French, flirty way – the brand communication plays on humor, though in a much less provocative style than État Libre d’Orange. All are just edgy enough to be called “niche” and attract the attention of the discerning perfumista, without sending the basic Acqua di Gio/ Light Blue consumer home screaming. And for most niche brands, several blur the gender lines, though these do it in a yin/yang way: they aren’t so much unisex as hermaphroditic. Me Myself and I, by Jean and Aurélien Guichard: the father and son team at Givaudan have come up with the unlikely pairing of tuberose and vetiver topped off with a hemlock flower accord (last seen in Ormonde Jayne’s masterful Ormonde Woman). The heavy, wintergreen-tinged tuberose is pulled towards a darker, almost licorice-like burnt smokiness by the vetiver, with slightly salty, yeasty, almost bread-like top notes; it eventually subsumes into a woodier base. The blend is so seamless it’s hard to tease out the individual components: yin (vetiver) and yang (tuberose) united in a solipsistic whole. Me, myself and I has one idea, and keeps to it until the end, but that one idea is so great – why has no one matched up those two materials before? – that you don’t mind listening to it over and over for hours. The best in the collection for my money. Poopoo Pidoo, by Dominique Ropion (IFF): An evocation of old fashioned poudre de riz (rice powder). Orange blossom water, a milky cloudiness due to the almondy heliotropin paired up with a rice note in a swan’s down puff of white musk. This hovers on the edge of being the kind of fragrance you put in cosmetics, with a slight foodiness. Unexpectedly simple for the author of the masterfully complex Une Fleur de Cassie, but regressively delicious. The most outright feminine of the bunch. Pièges à Filles, by Anne Flipo (IFF) is Poopoo Pidoo’s mate, a Fleurs du Mâle kind of gender-bending masculine fragrance with an overdose of girly heliotropin and orange blossom on a butchier vetiver-tobacco base with a pinch of human cumin. Both male and female, it seems like an olfactory shortcut to self-sufficiency for today’s metrosexuals, despite its being called a “Girl Trap”. Unless the trap is a mirror. Fool for Love, by Laurent Bruyère (IFF) plays the foody side full-on on with a coconut punch accord on a buttery frangipani flower heart, with cinnamon thrown in to add a little fire, on a sharper woody base that makes it take an unexpected turn into a more masculine realm. Sacré-Coeur, also by Laurent Bruyère, is quite possibly the most overtly masculine of the bunch with its patchouli-tobacco-leather accord. The top notes are meant to evoke the acid and flinty Chablis, with its tart fruity notes (lemon and green apple). A surprising variation on the traditional citrus-headed leathers. Jamais le Dimanche, by Alberto Morillas (Firmenich) is another example of the neo-ozonic vogue we’ve been seeing lately. Although “Never on Sunday” boasts a marijuana note I get mostly incense and calone (or a similar material) and a lick of hesperidics. Clearly, this Sunday is spent by the sea after mass, with possibly a little herbal remedy. Prends Garde à Toi, also by Jean and Aurélien Guichard, is easily the weirdest of the bunch. 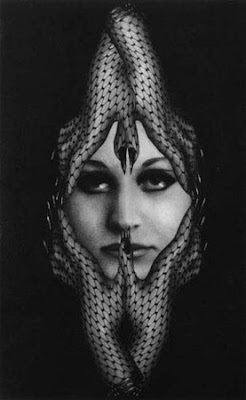 With a herbal top note that’s just on the edge of being vile – a real love-it-or-hate-it – but ends up being oddly attractive, it clearly deserves its name, drawn from Carmen’s “Habanera”, which means “You’d best beware!”. According to the site, this is the essential oil of nettle, but as I’ve never smelled or eaten nettle (the only way I’ve ever approached the foul plant is from behind – mine – in circumstances on which I’d rather not elaborate), I’d say that this reminds me of the sour, tangy sorrel I throw into my omelets in spring. There is also a slight absinthe-like whiff. Other reviewers describe this herbal smell as Artemisia (Octavian of 1000fragrances) or tomato leaf and anise basil (Jeanne of the French auparfum), which sound about right. Though there is a jasmine heart according to the site, it isn’t terribly perceptible after having my nose rubbed into nettle. I do get a lot of earthy, dirty patchouli in the drydown with a mineral whiff. The scent was composed as a tribute Carmen – Pierre Aulas says he had the inspiration to start his own fragrance line while singing in the chorus of the opera – and it’s certainly an unexpected one, Aulas’ personal favorite. As far as I know, the Ego Facto fragrances are not yet available outside of France, where they are sold exclusively at selected Marionnaud stores, but Marionnaud sells them online. The Ego Facto site is, for the moment, exclusively in French but an English version is in the works. Meanwhile, you can check the humorous Ken and Barbie visuals and check out the handsome Pierre. 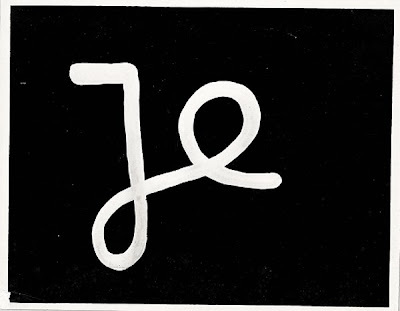 Image: “Je” by Ben Vautier.